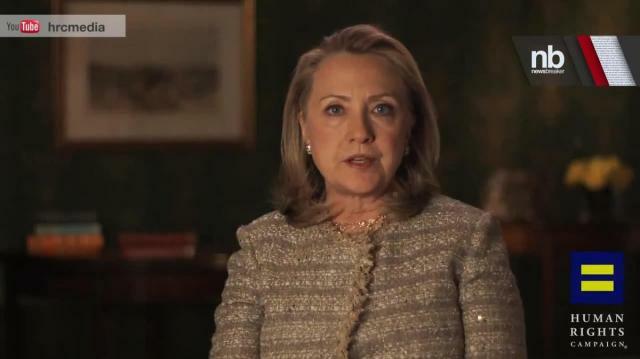 Former Secretary of State Hillary Rodham Clinton announced her support for gay marriage Monday, putting her in line with other potential Democratic presidential candidates on a social issue that is rapidly gaining public approval. Clinton made the announcement in an online video released Monday morning by the gay rights advocacy group Human Rights Campaign. She says in the five-minute video that gays and lesbians are "full and equal citizens and deserve the rights of citizenship." Host @DavidBegnaud delivers breaking news and today's trending buzz in 45 seconds.